What does beat a dead horse mean? Niles: When you feel yourself yielding to her, summon an image so repellent you’ll be incapable of any sexual desire. And remember the summer we were at Uncle Henry’s farm? We found that dead horse lying in the hot sun crawling with maggots? Frasier: Yes yes, of course. Niles: Hold on to that picture. You can ride that horse to safety. Frasier: Thank you, Niles. I think that might just do the trick. When it comes to an ugly image, you can’t beat a dead horse. Dr. April Kepner: Why are you snapping at me all day? Dr. Jackson Avery: I’m not snapping. Dr. April Kepner: Yeah, you are. I’m sorry I asked the question. It obviously made you really uncomfortable and I guess that’s my answer. 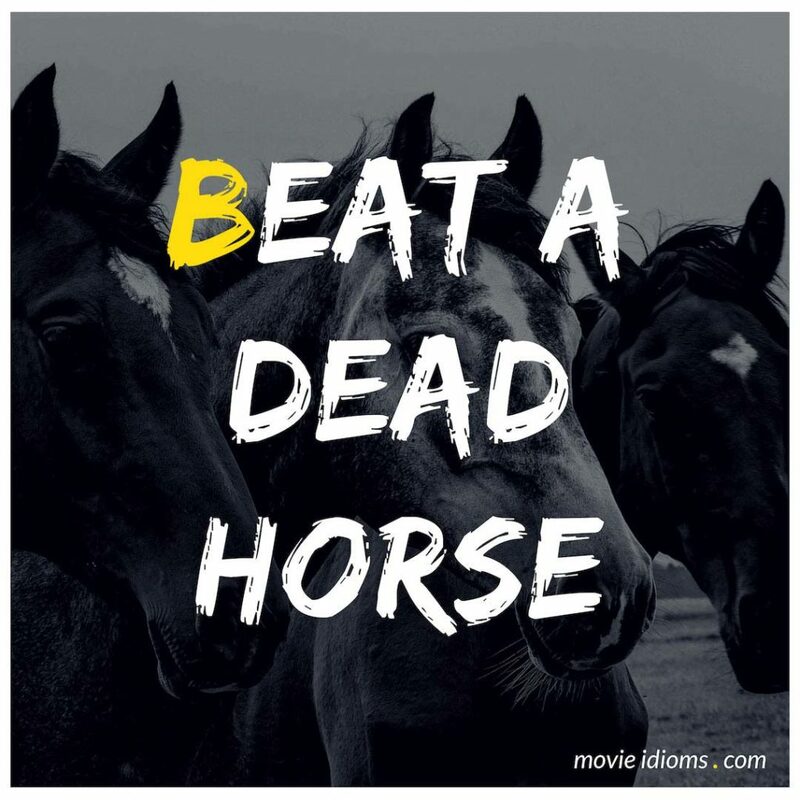 There’s no need to beat a dead horse. Adam Leavitt: Sir, not to beat a dead horse, but if there was ever a time for us to put boots on Saudi sand. I mean, don’t you think this is it? Janet Mayes: There’s no way, Adam. They will never allow it. Adam Leavitt: Then let’s just ask. Janet Mayes: The Saudi Royal Family cannot appear as if they’re losing control. If they lose control of their country; lose control of the people, they risk losing control of the oil. And that’s not going to happen.